RIM has been mum on details concerning BlackBerry 10 but a recently leaked roadmap has shined a little light on subject. 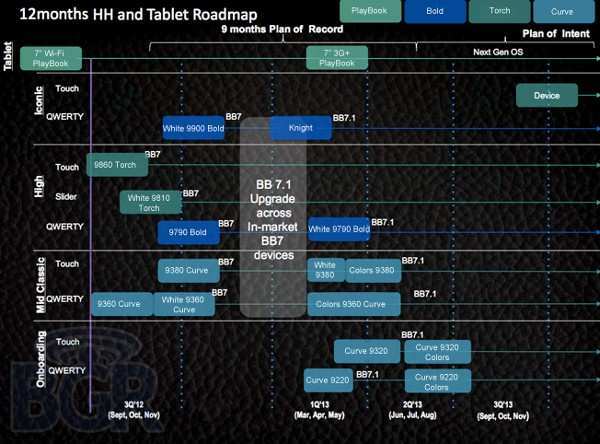 No official date has been released or announced but by looking at the roadmap we can see what RIM has in mind for upcoming BlackBerry releases and then play the guessing game as to when we should see BlackBerry 10. I foresee RIM releasing BlackBerry 10 sometime in October or November based off previously stated timeframes for it’s release. This is purely speculation but I imagine that RIM does not want to get overshadowed by the release of the new iPhone which will most likely be making a late sumer/fall debut as well. For those UK fans who have been patiently waiting for Motorola to give you an official taste of the latest Droid action, your prays have finally been answered. Motorola has announced that the Droid RAZR Maxx will be available sometime in May, but UK customers can begin to pre-order now. The specs for the UK version of the Droid RAZR Maxx are near identical to its US counterpart. Both Clove and Expansy are currently taking pre-orders. Another day, another Samsung Galaxy S III rumor, iPhone 5 coming in June? UK Carriers begin selling the HTC One X and S.
The latest rumor making the rounds around the Internet is that Samsung is including a Super AMOLED Plus display which would allow the Galaxy S III to showcase its 4.65inch screen at 720p HD resolution. 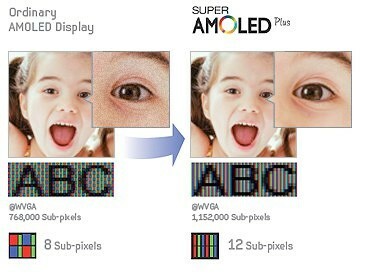 You may be wondering what in the world a smartphone 720p HD display even looks like, well here is a side by side comparison. The difference between the two is very clear and quite stunning. With that being said, we can most likely expect the Samsung Galaxy III to be hitting stores sometime in May as AsiaE has reported that carrier testing is currently underway. Are you ready for the Samsung Galaxy III? We know we are.